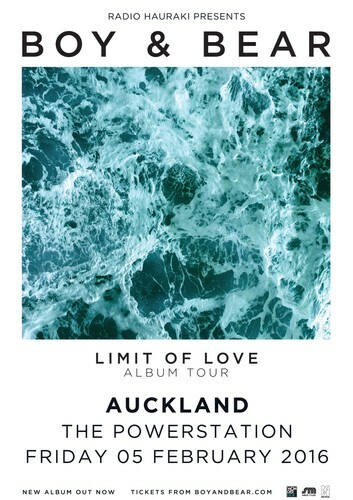 Australian quintet Boy & Bear celebrate the worldwide release of their third studio album, Limit of Love with 3 dates in NZ February 2016. Following a massive touring schedule over the last 18 months – 170 shows across three continents in support of critically-acclaimed album Harlequin Dream – Boy & Bear decided to take the momentum they had gathered on the road directly into the studio, and teamed up with renowned producer Ethan Johns (Ryan Adams, Kings of Leon, Kaiser Chiefs) with the intention of cutting a record the old fashion way, live in the studio (vocals and all), straight to tape, with virtually no overdubs. Lead single “Walk The Wire,” https://www.youtube.com/watch?v=EapikNusv58 , is the ultimate reward for trying something different – and opens an exciting new chapter for the band. 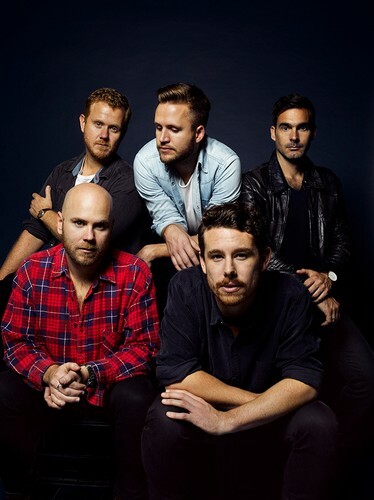 Named one of USA Today’s “5 Australian Acts You Need To Know Now,” Boy & Bear saw huge success worldwide in 2014 with single “Southern Sun” from Harlequin Dream, (Queenstown provided the stunning backdrop for the video) and which the NZ Herald called "a guitar-driven, Tom Petty-esque anthem which should be blasted loud”. The band made their U.S. late night TV debut last summer on CONAN, as well as appeared on NPR’s “World Café With David Dye” and VH1 Big Morning Buzz. In their home country, Harlequin Dream debuted at #1 on the ARIA Top Albums Chart and was certified Platinum. Boy & Bear is Dave Hosking (lead singer/guitars), Killian Gavin (guitars/vocals), Tim Hart (drums/vocals), Jon Hart (keys/vocals) and Dave Symes (bass/vocals).